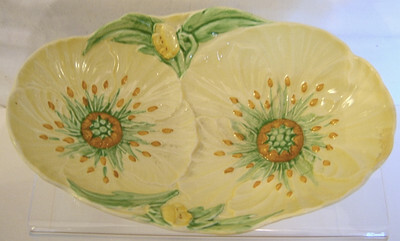 Another delightful item in the Yellow Buttercup Tableware range from Carlton Ware. 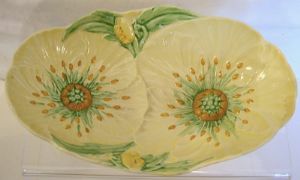 This is a Dish or Tray in the traditional styling with Two partially divided sections provided by the large sunflower heads. It measures 7.75 inches (19.5 cms) in length. It is in excellent condition without evidence of crazing. It is, of course, a regsitered Australian design and backstamped accordingly.